Grace Lutheran Church’s Sunday morning choir begins on September 5th and there is a place for you! If you sing, read music fairly well, NOW is the time to join the talented and fun-loving choir at Grace Lutheran Church. Rehearsals Wednesdays between 7:30 pm – 9 pm and 10 am on Sunday mornings. The choir regularly sings at the 10:30 am service and there are already some college students there! 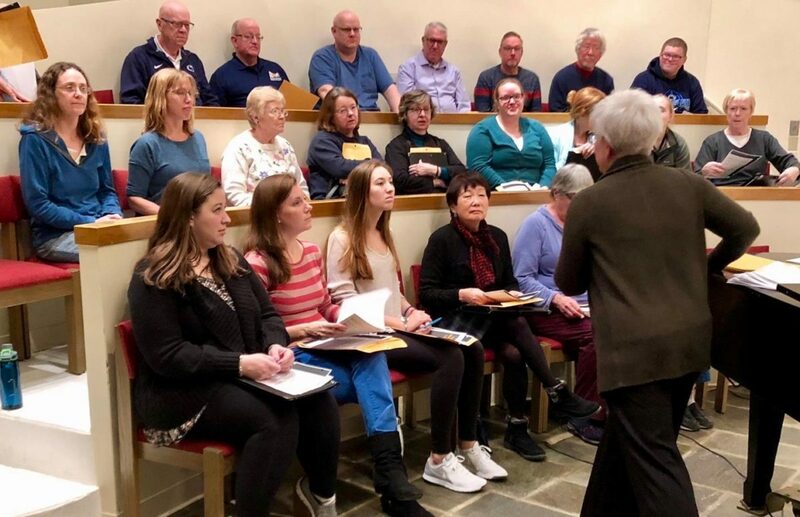 Director Jayne Glocke teaches voice and choir on campus, and her way of working with the choir at Grace makes the music fun and helps the singers make beautiful and meaningful music for worship.